Bathroom of the Month, November 2010 – Del Posto! Yes, congrats Del Posto. In addition to your various culinary accolades, you have now achieved true critical prominence. Winner of JohnandElana’s bathroom of the month. To me, this was just a no brainer. This is probably my bathroom of the year so far. 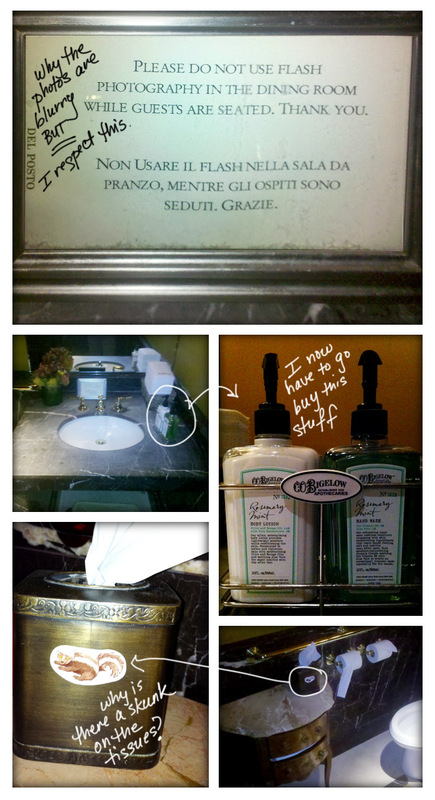 In addition to great food, Del Posto couples the culinary experience with a first class sanitary scene of dreams. 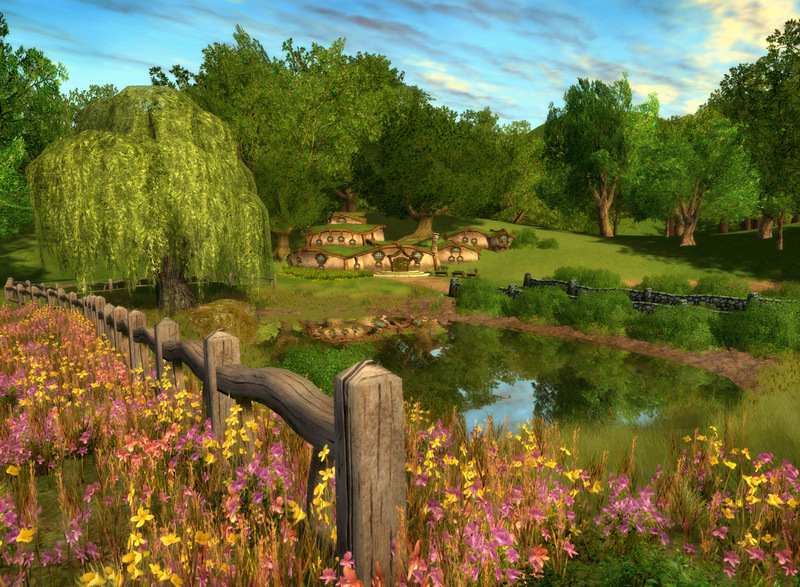 The only thing missing here is the guy to apply the soap for you – which would actually make for a considerable problem in this sense – since the bathrooms are individual “water closets.” On top of their privacy is a luxurious feel – granite up the wazoo and hand soap that smells like it has been freshly collected from flowerbeds within the Shire. Should you go to a restaurant based on its bathrooms? No. But – should you need one, just know that Del Posto won’t let you down. Ahhh….the hot dog. Nothing says backyard BBQ to me like a good dog with some nice charcoal grill lines striping its all-beef cylindrical frame. I take ketchup AND mustard on mine. I’m weird like that. But last weekend, I had the opportunity to visit a place least likely to be confused with a backyard BBQ – Please Don’t Tell, the speakeasy that adjoins Crif Dogs on the Lower East Side. My friend Kaz was in town from Los Angeles, and she suggested we pop on over there. Reservations are recommended at this mysterious place, but you have to call at 3pm the day of your visit. We tried this route, along with the rest of the city. Again and again we were foiled by a busy signal. When we finally got through, the person on the other line told us they were all booked (it was about 3:30 at this point). However, she said if we arrived at 6pm we would have an excellent shot at getting seats at the bar. 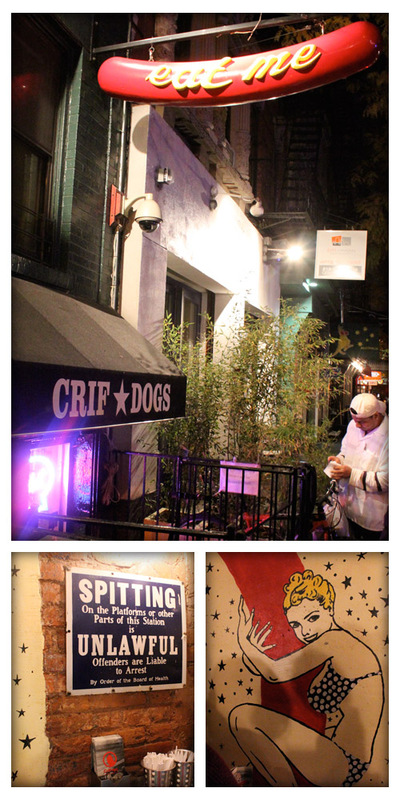 Dutifully, we showed up at 6pm, and this is when the queue starts to form outside the telephone booth inside Crif Dogs. We lined up with everyone else and waited….for what we just did not know (not having done this before). Before long, a woman on the OTHER side of the telephone booth opened up the door and started letting people in in pairs. We got in quite quickly after this, and were seated at the bar (not before witnessing some exciting examples of taxidermy!). We began with drinks. 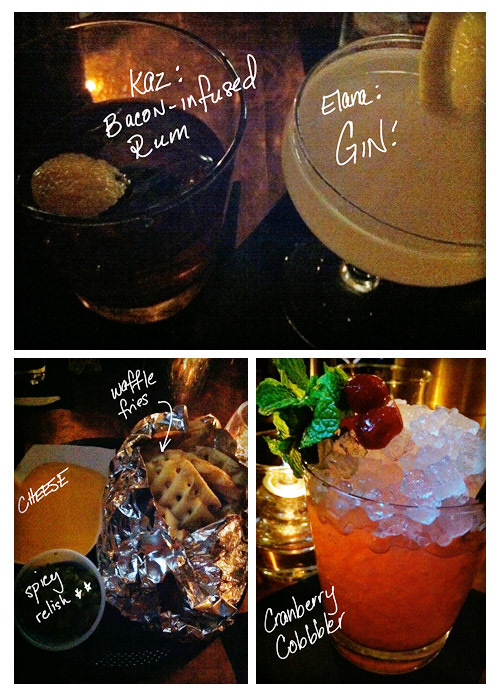 The bartenders at PDT are both nice and knowledgeable. Which is great for me for two reasons: 1. The drink menu at PDT is extensive. Which is fantastic, but can be overwhelming. 2. I have this new habit of asking waiters, bartenders, museum staff, etc what I should eat, drink, do, etc. And then staring at them until they give me a good answer. I figure they’re the experts, they should know better than I do. So, I said to Mr. Bartender #1 (there were two of them), “I would like GIN!” He was taken aback only for a second (bless his soul) and then whipped up a concoction for me with Gin, rosemary and a splash of citrus that was exactly what I wanted. Kaz opted for a rum drink with an infusion of maple bacon that was magical. After studying the menu, we ordered their waffle-cut fries and two Wylie Dogs. The Wylie Dog is a deep fried Crif Dog accessorized with battered, deep fried mayo, tomato molasses, dried onions and shredded lettuce. This seemed like a heart-healthy option to me. Our food arrived through a fun little window behind the bar. I looked at my Wylie Dog and formed a plan of attack. It’s a hefty dog with some unwieldy toppings, including what looked like a long, thin, fried mozzarella stick on top. Turns out this was the fried mayo. And it was good. I feel dirty saying that, but it’s true. My Wylie Dog was very well executed. Frying a hot dog is really a good way to prepare it. It has a nice crispy-crunchy outer texture, which gives it some extra snap. And the interior was very flavorful and perfectly accented by is various accoutrements (including the mayo). The fries were also tasty, but a bit more average than their outstanding dog counterparts. They arrived with a cheese sauce which appeared to be your standard orange-colored melted variety and some spicy relish. I liked the relish, but passed up on the cheese after tasting it. It didn’t offer me anything noteworthy and I figured with the fried hot dog, fried mayo and copious amounts of Gin, I would leave the cheese alone. However, we did order two baskets of fries and killed them both. 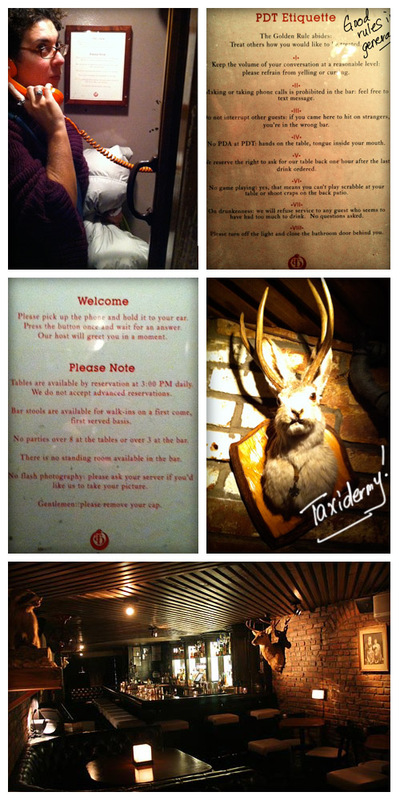 I was pleasantly surprised by the bathrooms, located just across from the taxidermed jack-a-lope. Sliding open the door revealed a loo completely tiled in broken mirror pieces. It was like having the inside of a kaleidescope as a bathroom! I have to admit I thought it was very well done, and a dash unexpected given the dark, library feel of the main dining room and bar area. It was clean and well-kept and it was even festooned with brightly colored flowers. Definite points for creativity and flair. I would absolutely return to PDT, with or without a reservation. 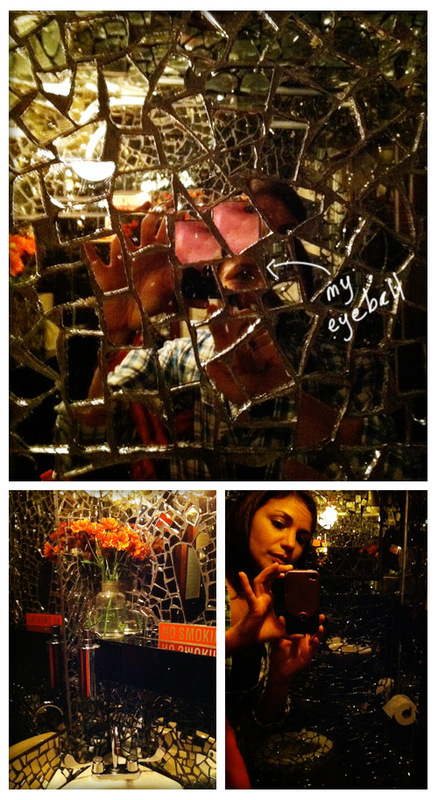 It’s a great place to have an inventive and well-mixed drink even if you don’t feel like indulging in the fried fare. And as for the fried fare, I have not met many fried hot dogs in my time, so this one may be my first love. And the mayo too. How was everyone’s Thanksgiving? John and I had the usual madness at Iaciofano HQ this year. I’ve recorded some highlights below: a few snippets of ridiculous conversations, some food photography and a recipe for Liver Pate in Cream Cheese Crust. 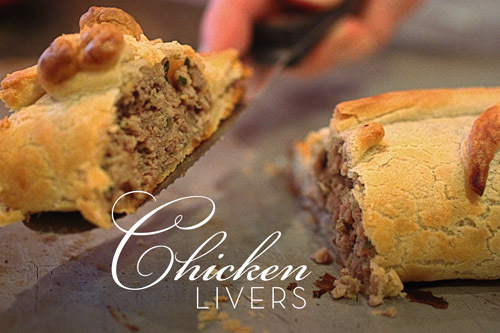 The word “liver” may have just freaked some of you out. I happen to love it. And this recipe is amazing. 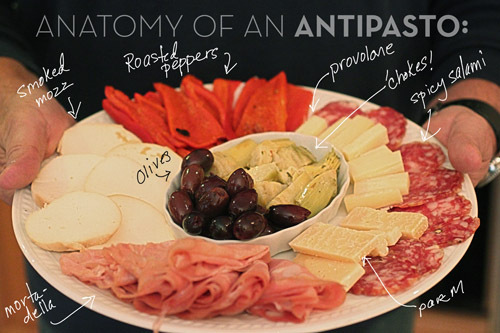 It’s a great option for holiday parties as an hors d’oeuvre (some day I’m going to learn to spell that word without looking it up). Marmo to John: Can you please get your hands out of the olives? The Box to Me (under his breath): Let’s get Aunt Emily a drink. Right now. Aunt Emily to The Box: Did you put any Vermouth in this drink? You know, John, sometimes not enough is just as bad as too much. Aunt Emily to John: You look like AC/DC (She thinks his hair is too long. I’m just impressed she knows who AC/DC is). Then to me: Elana, stop taking pictures of me, I’m going to break your camera!! To The Box: John, I love you, but you’re getting fat. The Box to Aunt Emily (describing the wine): It’s BOW-JOO-LAY NOO-VOH! Oh dear. Let’s interject a quick recipe into this madness. 2 ½ cups of flour. Combine cream cheese and butter and add sour cream and salt and pulse then add the flour. Wrap in plastic and refrigerate 30 minutes. Soak chicken liver pieces in madiera wine for 30 minutes. Drain. Melt butter in fry pan and add liver pieces, bacon, garlic and shallots and cook until livers are cooked but still pink. Warm the cognac and add to livers. Add ground ham, pork, thyme and basil. Mix and cook over medium heat stirring frequently. About 5 minutes. Remove from heat and add parsley, eggs and cream. Add salt and pepper to taste and set aside to cool. Roll out 1/3 of the dough into a rectangle about 1/8 in thick. Trim edges so they are even. 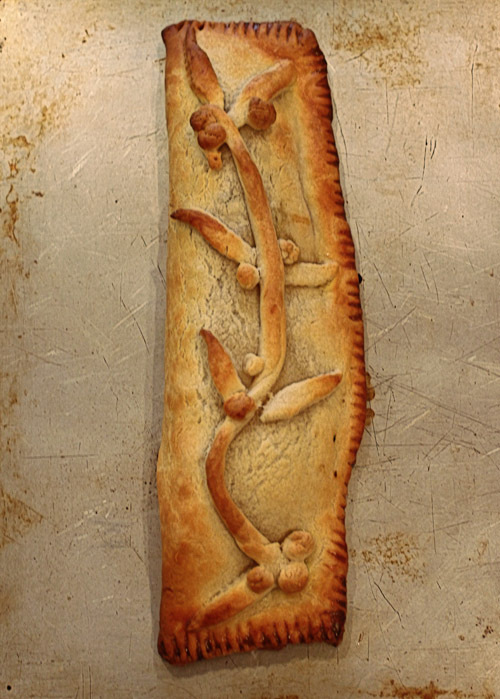 Spread one third of the pate on one half of the pastry leaving 1” border. Fold over and press edges with a fork and brush with egg/milk glaze. Repeat. Bake in preheated 400 degree oven on a lightly buttered baking sheet for 25 minutes. Note: You can freeze these for up to 3 weeks. Do not defrost before baking but add 10 minutes to the baking time. 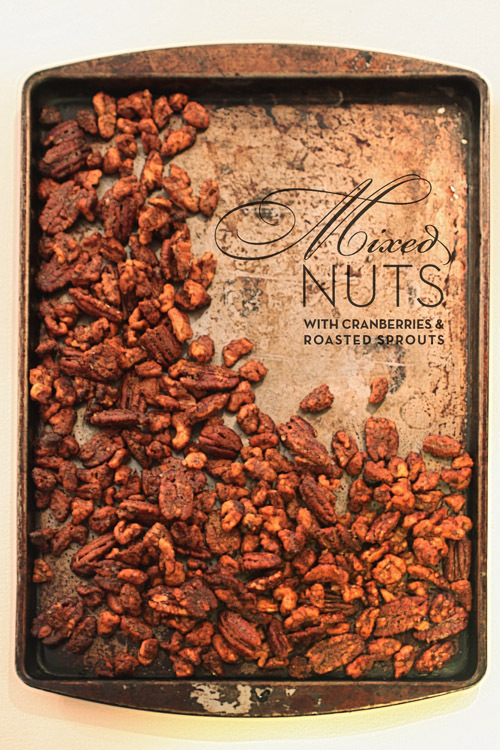 The Box: No, the cold kills the aroma and flavor. John: Nope, it should be cold. John to The Box: Wanna go hit golf balls? The Box: Yeah, right now. Marmo: Anyone want more turkey? The Box: I don’t want to see another turkey until November 2011. Me to the Box: Can you stop clearing your throat every 5 seconds? You sound like a drippy faucet. The Box: I liked you better when you were sleeping. John to the Box: I think you’d like this Belgian beer called Leffe Blonde. The Box: I don’t like Belgian beer. Every one I’ve tried is bitter. John: No, you’d like this one. The Box: Wanna go hit balls? John: Yup. [then:] Hey, don’t change that channel, the Jets are coming on! Me: There’s a Jets game today? The Box to Me: Elana, do you really need to buy a road bike? I mean, is there anything you’re going to use that for besides training and racing? Marmo to the group: You people haven’t moved for hours!! Me: You got a problem with that? Marmo: Who’s been taking bites out of these chocolates?! I hope you all had a very happy Thanksgiving. We have a lot of great stuff planned for this month (for example, tomorrow is all about Hot Dogs! 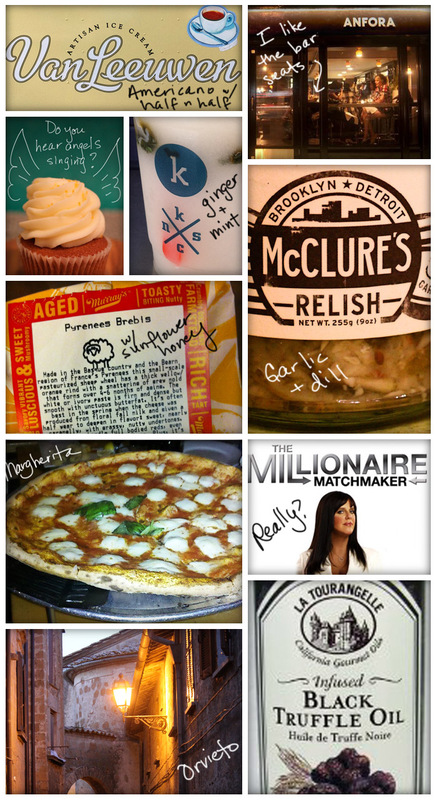 And then there’s going to be a fantastic pizza feature, AND a giveaway). The suggestion box is always open, and we are happy to listen to any you might have. John and I have a long list of animals, minerals and vegetables that we are thankful for this Thanksgiving and holiday season (although John is less enthused about the vegetables). We love our family and friends (even Aunt Emily! ), and we’re both really, REALLY thankful that we have the time, energy and resources to keep up this blogging madness. 1. I am thankful for our readers that tolerate the nutty things I say and indulge my questionable sanity. 2. For Anfora Wine Bar, where they keep letting me in the door even though I drink all their wine and eat all their fabulous ricotta cheese every time I visit. 3. For the really cool vendors that actually like it when we feature them on the blog: Van Leeuwen, City Cakes, McClure’s Pickles, Kelvin Slush and Astor Wines (check out Astor Wine’s Thanksgiving Wine Guide here). 4. The smoke detectors in my apartment. 6. Pyrenees Brebis cheese from Murray’s Cheese. It’s off the hook. 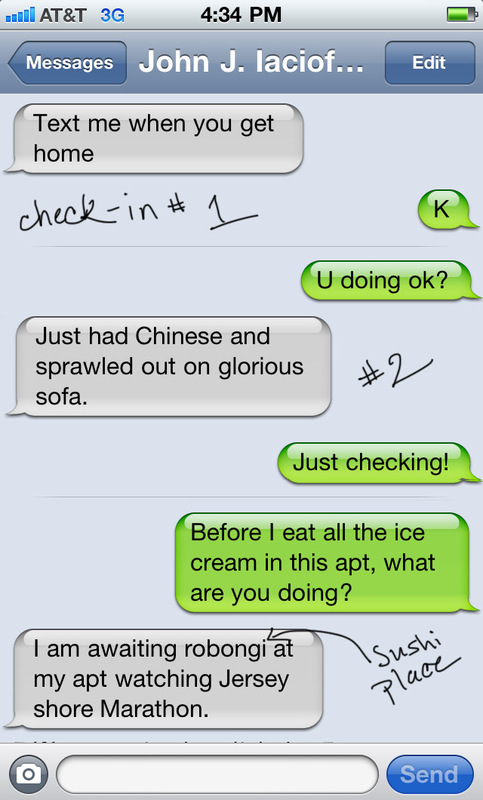 John’s Commentary: Elana – Half of the things you have mentioned involve you essentially pestering people for favors. It appears that little brother needs to keep an eye on you more often, so as not to scare anyone off. Also, I don’t use smoke detectors. They kept going off every time I slipped on my new Sanchez jersey. In what may be the finale for JohnandElana pizza month part 1, this week’s review is of Di Fara Pizza in the Midwood section of Brooklyn. 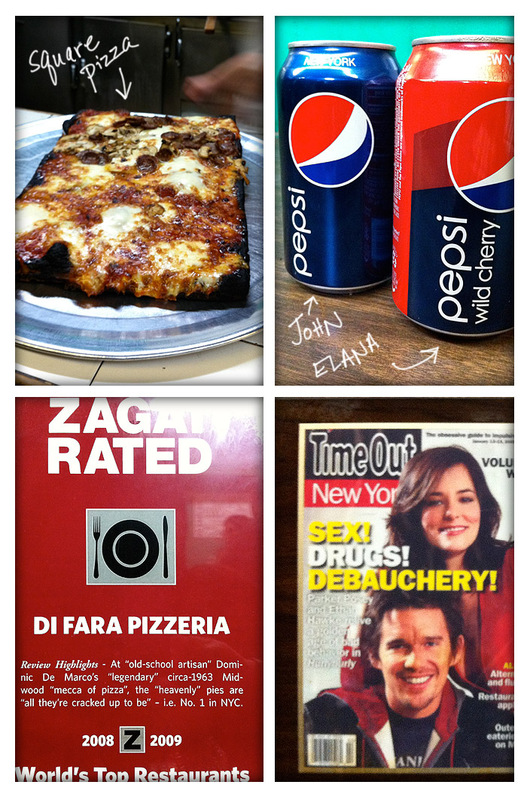 Admittedly, Elana and I are late to the Di Fara party; the pizzeria has been making headlines for quite some time. Depending on who you talk to, Di Fara has been hailed as everything from the best pizza in NYC to the best pizza in the world. Having heard and read so much about it, I can never honestly remember a meal that has had this much build up. After waiting on line for a few minutes, we enter this pizza cathedral. It is not an impressive looking place by any means: crooked picture frames, worn floors, cheap tables scattered about – but we’re not here for the decor, nor is anyone else. We’re here to sample the fine craftsmanship of legendary pizza man, Dom De Marco…who, as legend has it, has made every single pie in the history of Di Fara’s since its opening in 1959. Watching him do his thing is quite entertaining. With his daughters taking the orders of hungry customers, Dom shuffles around the area surrounding the pizza oven doing his thing. Each pie undergoes a series of meticulous and carefully observed steps: First – Dom relaxingly stretches the dough and places it on the peel; second – in the oven the pie goes; third – after substantially baking in the oven for several minutes, Dom pulls the finished pizza out of the oven with his bare hands and places it in a box; fourth – with scissors in one hand and a bushel of basil on the other, Dom cuts up said bushel and makes it rain basil leaves on yo’ pizza; fifth – some sort of grated cheese, most likely parmesan, is heartily sprinkled upon the scorching hot pizza; and last, Dom drizzles olive oil onto the pie. He then cuts it up into slices. All of the aforementioned steps are, for the most part, done by Dom. This is both a good, and perhaps a bad thing. The good – you know that only master pizza man Dom De Marco will be making your pie. The bad – the wait times can be killer. 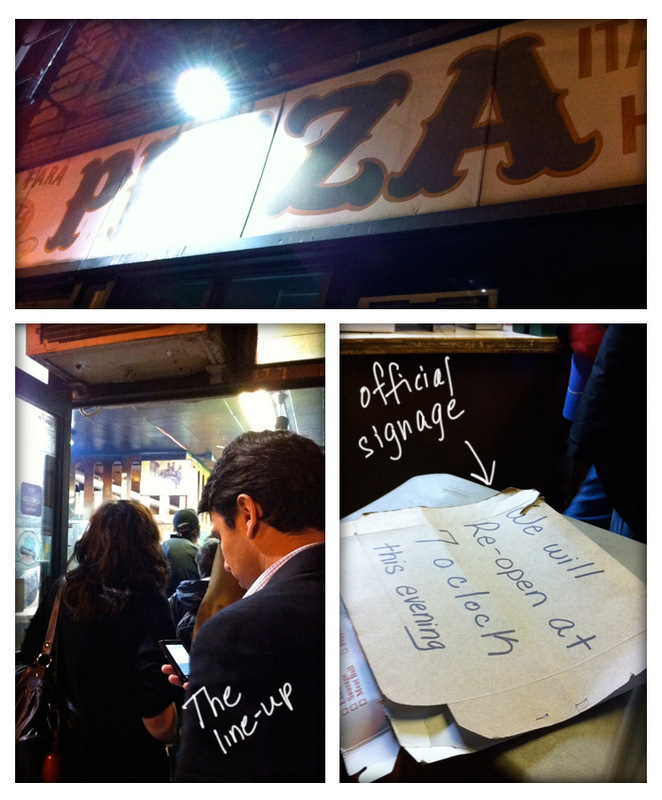 Combined with its insane popularity, and a shady dial-in system in which regulars swoop in and retrieve pies with minimal wait times, we waited over an hour and 45 minutes from the time we placed our order to get our pie. “Elana!” shouts one of Dom’s daughters – our pie is ready. Elana goes to the counter while I stay behind to guard the tables (there are not many). This had better be &$%^@# worth it! And it is. First of all, Di Fara’s pie is essentially what I consider to be an American slice. It is cooked in what appears to be a Baker’s Pride Oven without the exposure to hot scorching open flames like pizzas cooked Neapolitan style. The look, weight, and feel of the slice is similar to Artichoke: a mostly stiff, blackened crust, with basil leaves and cheese that still appear to be melting as it sits before us – but it is even more substantial. The Di Fara pie has more cheese on it. The end result is a delicious product from start to finish. 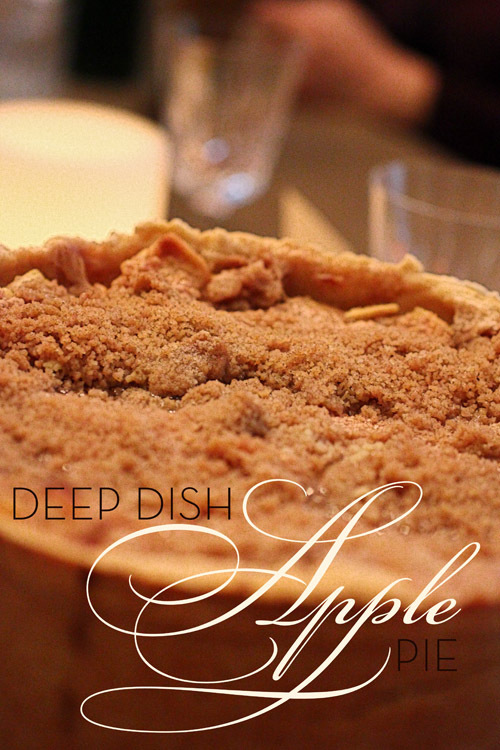 The well done portions of the crust are every bit as delicious as the softer, cheesier parts of the pie. Each bite contains perfect levels of salt, tomato, cheese, and bread. Indeed, portions of it are just that: perfect. I say “portions” with an oh-so-slight reservation – some of the pie isn’t as well cooked as other portions of the pie. To some, this may give the pie character but, to me, I found myself looking for the more well-done slices. Having said that, we completely devour the pie, and can honestly say that this is the best pie I have had in the continental U.S. Half of our pie had pepperoni which was delicious – warped, hot, and crispy – it added a nice punch to already outrageous foundation. Like the saying goes, the best things come to those who wait. You owe it yourself to try a Di Fara pie if you have not already. Now, if someone can provide me with any tips on cutting the line for next time – please feel free. 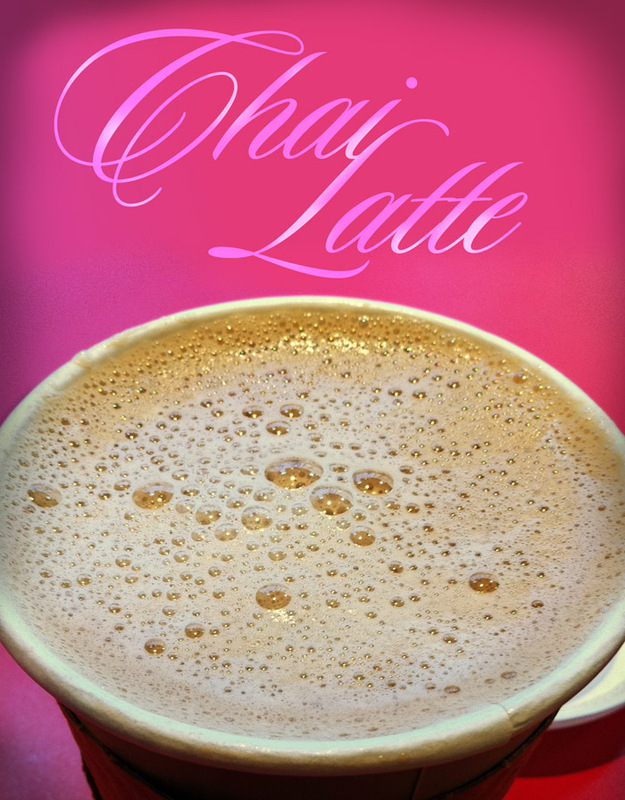 Ok, all old-timey communiques aside, this chai latte is the best I’ve had in a while. It’s all frothy, cinnamon, nutmeggy goodness with a hint of clove and it will send your afternoon into a tailspin of subtle spice-induced euphoria. Did any of that make sense? Probably not, because I am still reeling from the experience of chugging this latte like a camel refilling at an oasis. I couldn’t help it. And I even ordered mine with skim milk. Which, as you may know is not a heavy-hitter in the taste department. I loved it. I will work up a home-made recipe for one of these babies soon…in the meantime, take a trip over to Telegraphe and order one of theirs. 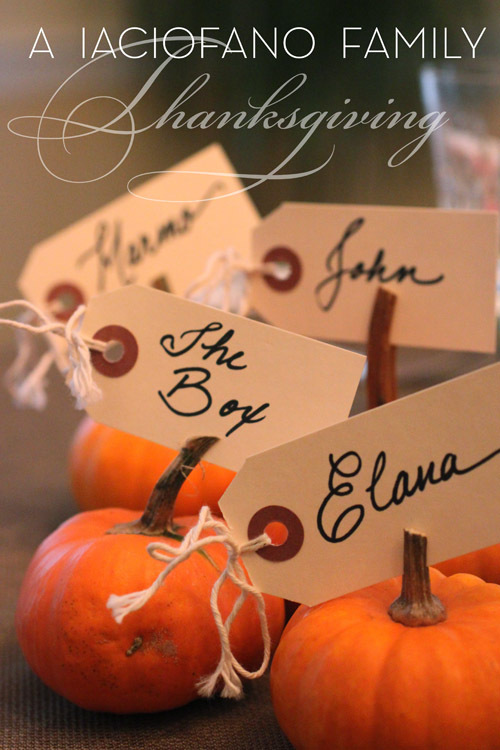 Thanksgiving is fast approaching! Because of this, we are making some last-ditch efforts to cram you full of recipes like a turkey stuffed for the big day. And speaking of turkey, this is a good one. It’s another Martha recipe. 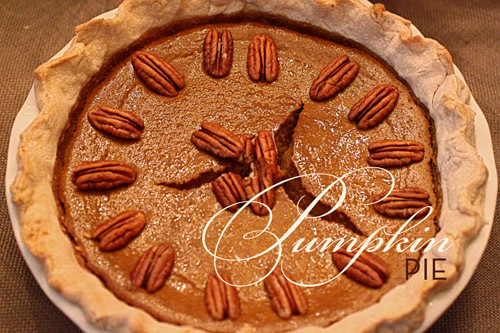 I have to admit to relying on the vast arsenal of MS recipes for Thanksgiving in particular. It really isn’t the case that I favor one source for recipes over another. I will tell you that it takes A LOT for me to save a recipe. And I have made the ones I am suggesting to you over and over again (I put them in a binder with clear sleeves because I am a messy cook and paper will not survive my kitchen). They have not failed me. Here is one for what I call The Candy Apple Turkey. It’s real name is Maple Roast Turkey with Riesling Gravy. 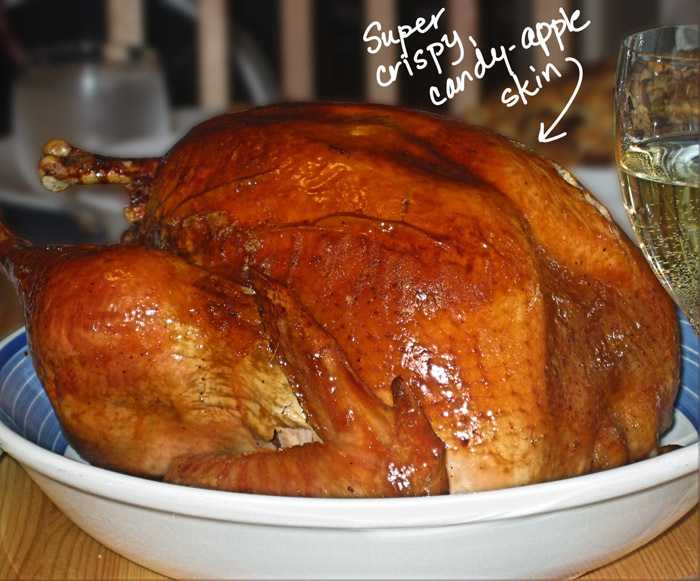 The skin of the turkey gets thin, sweet and crispy. So much so that you might not eat the rest of it, but just peel off the skin and feast on that alone. Also, I will support anything that involves Riesling. Seriously. Heat oven to 425 degrees.with rack in lowest third of oven. Wash turkey inside and out with cold running water, and pat dry with paper towels. Tuck wing tips under body. Generously season neck, body cavities, and underside with salt and pepper. Loosely fill the neck cavity with the stuffing. Using wooden skewers or toothpicks, secure the flap. Holding the turkey upright, loosely fill the body cavity with stuffing. Pull the legs together, and tie them with kitchen twine. 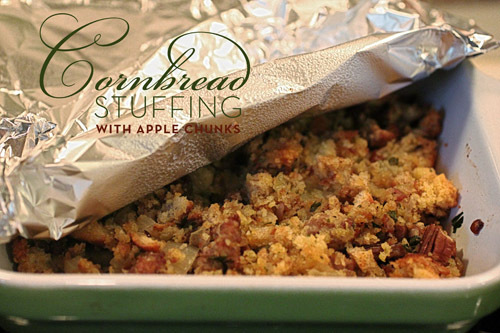 Heap on additional stuffing so that it is bulging out of the cavity. Generously sprinkle salt and pepper over the bird, and set it on a rack in a roasting pan. Cut a double layer of cheesecloth to fit over the entire turkey. Melt 4 tablespoons butter. Place cheesecloth in the butter, completely soaking cloth. Drape cheesecloth over the bird. Place turkey in the oven, and roast 30 minutes. Baste with butter that has accumulated in the pan. Reduce heat to 350 degrees. and loosely cover bird with a large piece of aluminum foil; roast 30 minutes more. Baste again. Continue roasting, basting once an hour, until a meat thermometer registers 180 degrees.in the leg and 170 degrees.in the breast, about 3 hours. During the last half hour of roasting, place grated ginger in a small, double layer of cheesecloth; squeeze juice into a small saucepan. Add maple syrup and 1 tablespoon butter. Heat the mixture until the butter has melted and is bubbling. Remove the maple-syrup glaze from heat. Remove foil tent and cheesecloth from bird, and discard. Brush glaze over bird several times during last half hour. Remove turkey from the oven, and transfer to a carving board. Let rest 30 minutes before carving. In a small bowl, combine the remaining 1 tablespoon butter with flour, and mix together until smooth; set aside. Pour pan drippings into a fat separator or glass measuring cup, and let stand 10 minutes. If using a fat separator, carefully return juices to pan; discard fat. If using a measuring cup, use a spoon to skim fat from top, and return juices to pan. Place the roasting pan on top of the stove over medium-high heat. 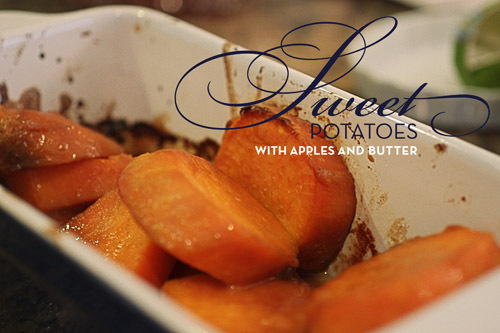 Pour wine into the pan, and, using a wooden spoon, stir up any brown bits on bottom. Cook liquid until reduced by half, about 6 minutes. Add turkey stock, and cook until reduced again by half, about 7 minutes. Pass the gravy through a cheesecloth-lined sieve, and pour into a small saucepan. Whisk in the reserved butter-flour mixture until the butter has melted. Reduce heat to medium-low, and let gravy simmer until slightly thickened, about 8 minutes. Add red and green grapes to the gravy; serve gravy with turkey. * Note: I never use cheesecloth. I probably should, but I feel like it needlessly complicates my life, and I’m about simplicity, people. So there. ** Also, a SIEVE? Come on, really? If you guys think I do this, you’re wrong. But I encourage you to do it, and tell me about it. *** Original Martha recipe, here. And now for The Hartman Family Fried Turkey Instructional. Who is this Hartmann Family, you may ask. Well, I will tell you. The Hartmanns are our neighbors on Long Beach Island. 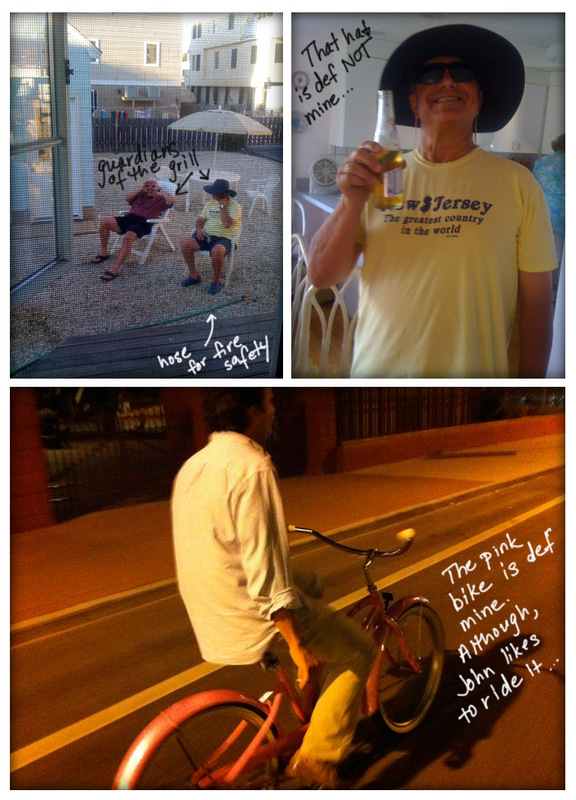 My family has had a summer house on LBI since before I was a twinkle in my mother’s eye (which, as John will remind you is WAY before HE was a twinkle). Anyway, the Hartmanns have always been our neighbors, and better ones you really couldn’t find. Always friendly, always helpful (the amount of times Mr. Hartmann has fixed random stuff around our house while we are away for the winter is probably too numerous to count), and always having a good time. And if you’re talking about having a good time, frying turkeys for Thanksgiving is something you should consider. You should also consider safety goggles. And a shield. So, I went straight to the source of fun and frying for this recipe, Mr. Hartmann himself. This is it, in his own words. 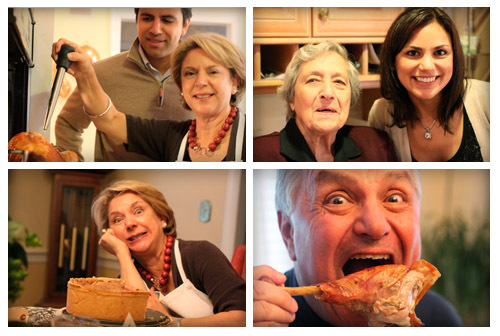 Thank you for the recipe, and thank you for being such great people and neighbors! To fry a turkey you need a turkey fryer which is a large stockpot with a basket or lifting apparatus, a burner (you’ll be doing this OUTSIDE) a thermometer and a large amount of oil, like 3 to 5 gallons. The fryer is available at Home Depot or Lowes and sometimes Costco. The oil is usually in a large box. Sometimes peanut oil is recommended, but regular vegetable oil works well. I think there is a new electric fryer out now supposedly safer but we like living dangerously. Preparing the turkey: dry rub with mixture of your choosing under breast skin and all over the outside. Refrigerate overnight, covered. On Thanksgiving day, heat the oil in a stockpot outside and away from the house. It’s a good idea to put a large piece of plywood underneath the burner stand to contain any oil overflow. 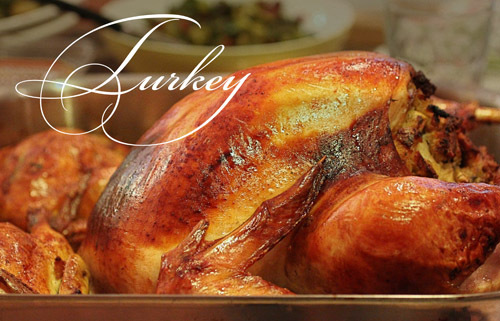 When the temperature reaches the recommended degrees, VERY SLOWLY lower the turkey into the oil. There will be much bubbling up as the hot oil and cold water (in the turkey) do their thing (sear). The recommended frying time is usually 3 to 5 minutes per pound. Carefully remove turkey when done and disengage the lifting apparatus. Allow to rest. If you haven’t started drinking before this, catch up. The critical danger is over! Enjoy!! Oh yes, there is the matter of the left over oil. It can be used again (maybe twice more) to fry turkeys and then it starts to break down. Store it in a cool, dark place where it will be forgotten. 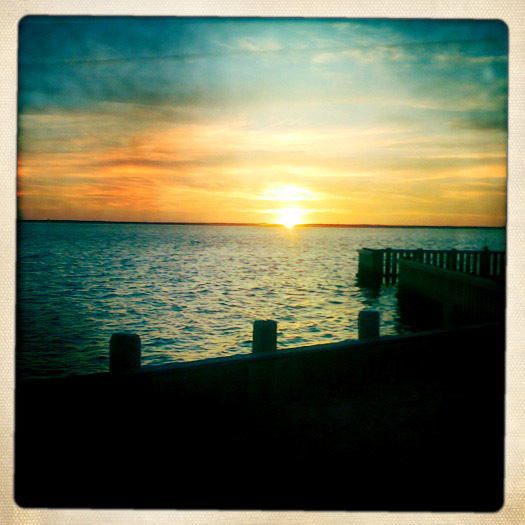 Some more photos from the shore….